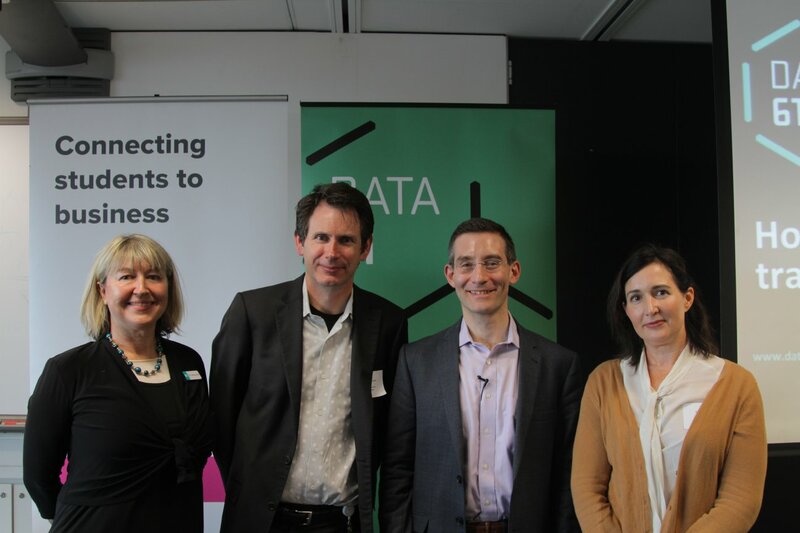 More than 46 industry leaders, business representatives, and students gathered for our unique data-driven insights talk and panel discussion, led by Ribit researchers with international guest speaker Matthew Sigelman, CEO of Burning Glass. Hybrid skills are the go. The greater the mix of human skills with ‘hard’ or technical skills, the harder it is for AI/technology to displace them. PhD skills are largely undervalued in the Australian marketplace, compared to other countries. Some STEM skills are more useful than others. Matthew Sigelman, CEO of leading labour market analytics firm, Burning Glass Technologies. Matthew introduced a new approach raised at the World Economic Forum in identifying reskilling and job transition opportunities. This involves using a data driven approach to discover new pathways and opportunities, including those that may not be immediately apparent. Paul McCarthy, Lead Data Researcher, Ribit.net and Author of Online Gravity. Paul researches the characteristics of fast growing companies and explored the technologies companies use and their propensity to growth and innovation. Paul outlined new research around future career paths for students in an age of online platforms. Dr Claire Mason, Research Scientist, Data61. Claire’s work is about understanding opportunities and challenges through increased reliance on digital technology across different contexts: including business, work, vocational education and training. She shared insights into the way the skills profile of the Australian labour market has shifted due to long term forces such as technology developments, globalisation and demographic change. Special event at Ribit/Data61 headquarters. How data is informing the transformation of the Australian workforce.